I once considered the Samsung Gear VR the most innovative tech device since the iPad in 2001. The Gear VR went with me everywhere. I bought the developer's version in December of 2014 and the commercial version last November. I never thought I would get bored of it, but I have; it's is in my room gathering dust. As a matter of fact, when I went to test out a new app this morning, I had to wipe the lenses. 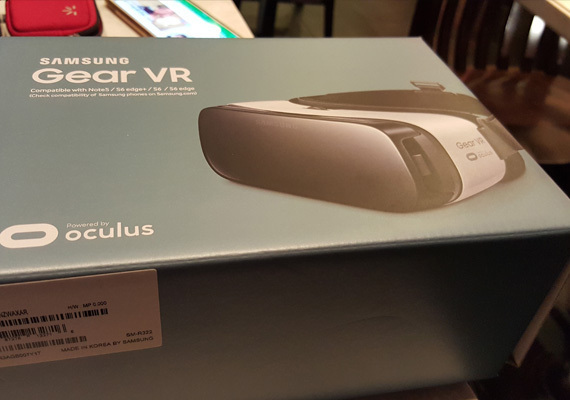 Don't get me wrong; the Gear VR really is an innovative device and Samsung deserves a lot of credit for helping Oculus build a device for mobile VR. When I first got it, my eyes spent hours viewing movies in the VR Cinema. It was so cool to have my own virtual IMAX movie theater. It was also cool to visit China, New York City, and even Africa just by putting on the headset. Did I mention that both you and a friend who is thousands of miles away can visit the moon together while watching video clips and chatting, provided that both of you have the Gear VR? The problem is that although all this is exciting at first, the rather poor quality of the experiences seeps in and, eventually, these experiences become too much of a hassle. The biggest problem is what is called the "screen door effect," where one can easily see individual pixels that build up an image. It's like looking at something through a screen door. A Quad HD resolution screen may look beautiful on a smartphone from a foot away, but when that screen is magnified in front of your eyes, things are different. Perhaps, a 4K screen would take care of the screen door effect, but a 4K smartphone screen eats up a lot of battery life and isn't necessary for 95 percent of smartphone users. Still, this is needed to make what's supposed to be an immersive experience more immerse. The most annoying problem with the Gear VR (and this includes every version that has been released so far) is that the lenses fog up really easily. Sometimes, it gets so annoying that you just want to take the Gear VR off your head and throw it across the room. I have found a solution that usually helps: Rain-X Interior Glass Anti-Fog. But why should somebody have to spend money on this after they already spend more than $100 (it used to be more than $200) on the headset? Then, there is what is commonly know as the FOV (field-of-view), which determines the widest dimension your eyes can see an image. While the Gear VR does provide somewhat of an immersive experience, it looks like you are seeing that experience through an igloo helmet. However, it gets worse. Because of the light reflection, your eyes will notice two transparent dark squares on the sides of the image. They aren't that prominent, but they are there. When you look to the right one, it disappears and the same goes with the left one. But in the virtual reality world, you need to be able to look in the center. In order to get rid of these transparent and annoying black squares, I have tried to put a couple of bandages on my nose, which sometimes works, but makes the headset feel more uncomfortable. Once again, why should I have to make the compromise? Why should the consumer have to make all these compromises? The Gear VR is supposed to be about enjoyment, but it's become a tough job to get it to work correctly. Perhaps I am being a little too harsh. After all, most people I have showed the device to have been blown away -- at least at first. I dare anybody not to be totally impressed with the Jurassic World VR app, which has an Apatosaurus staring right at you, centimeters away from mistaking you as a vegetable. There is also Temple Run VR, which makes you really feel like you are running away from monsters. The Netflix app is also enjoyable, just as long as you don't watch anything more than a half hour. However, VR is a very important type of techology. It has failed for decades and only now does it have a chance of taking off. If consumers experience mediocre virtual reality experiences like they do with the Google Cardboard or frustrating experiences with the Gear VR, they may not give the technology a chance when it is perfected. Hopefully, the upcoming Oculus Rift can correct at least some of the ills of the Gear VR and bring virtual reality to the mainstream.